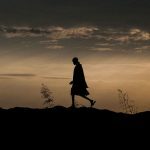 WASHINGTON (Oct. 5, 2016) – Under Fire: The July 2016 Violence in Juba and UN Response examines how the United Nations Mission in South Sudan (UNMISS) responded to threats against civilian men and women as it found itself caught in the midst of intense combat between South Sudanese government troops and opposition forces. The report describes how the parties to the conflict killed and injured civilians in displaced persons camps with indiscriminate gun and artillery fire, committed widespread sexual violence against women who left those camps in search of food, and attacked international and national aid workers in a hotel and apartment complex. 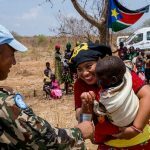 It also details how, when confronted with the challenging operating environment, UNMISS peacekeepers were unable or unwilling to leave their bases to protect civilians outside and at times even underperformed in protecting the 37,000 civilians sheltered on its bases. 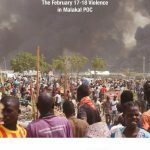 The report is based primarily on field research conducted in Juba in August 2016, which included more than 100 interviews with civilians directly affected by the violence, UNMISS civilian and military officials, and representatives of the humanitarian community. Decisive action is needed at all levels of the UN to ensure that the failures of July are not repeated and that the Mission is better able to fulfill its protection of civilians mandate.